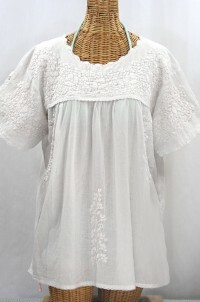 --- Please Select --- Medium (fits 4-8, and some 10s) Large (fits 10-12 and some 14s) Sold Out. 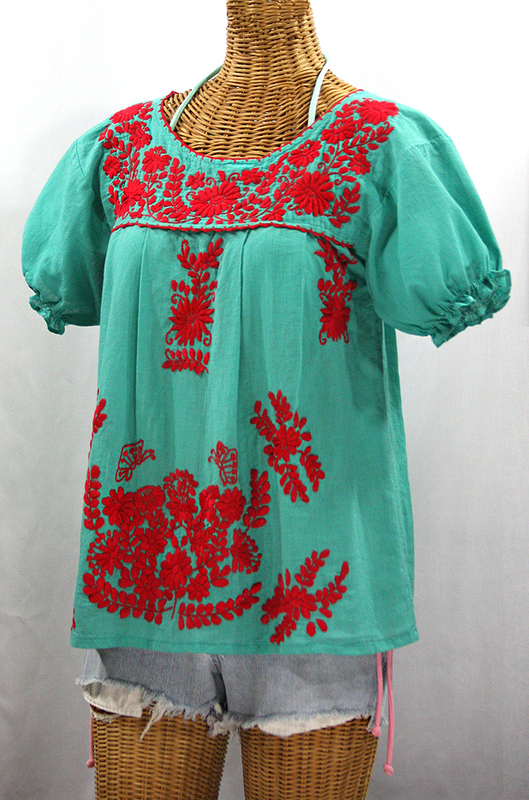 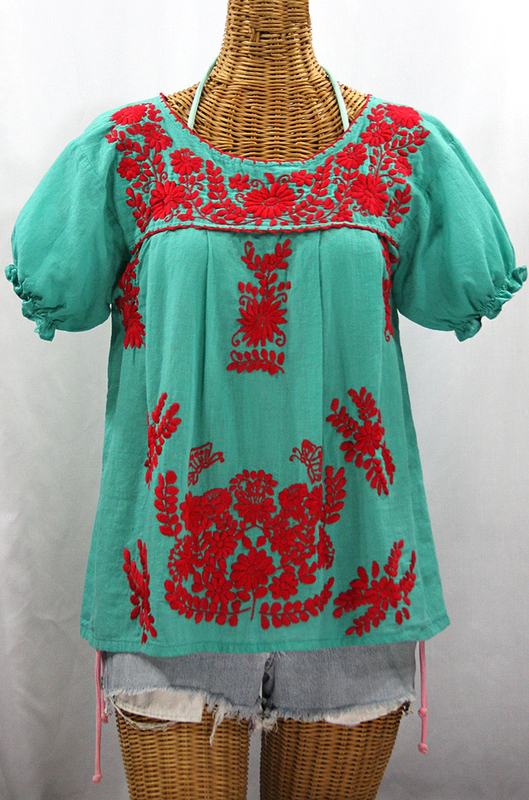 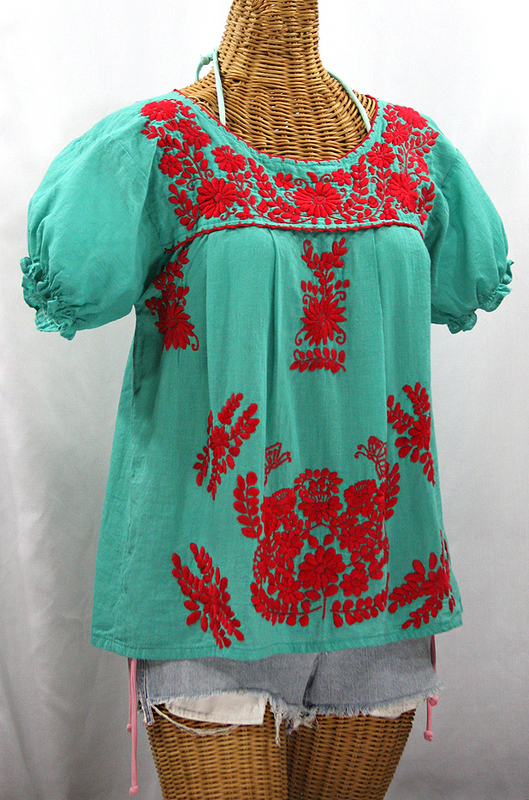 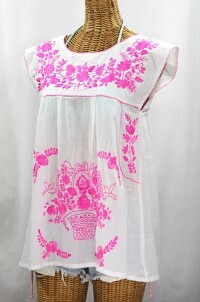 • Ornate hand embroidery and traditional puff sleeves, available here in mint with red embroidery. 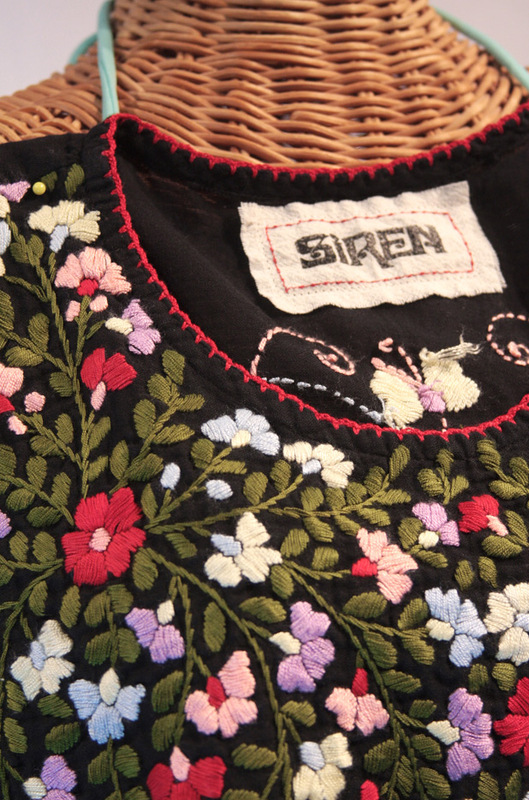 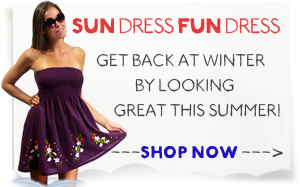 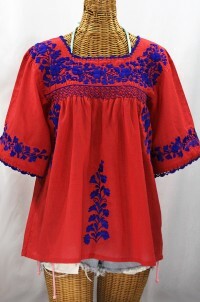 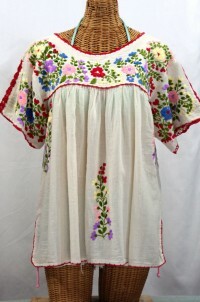 • Caringly embroidered by hand, each top is like a one-of-a-kind work of art so the embroidery colors of your top may differ some from the photos. 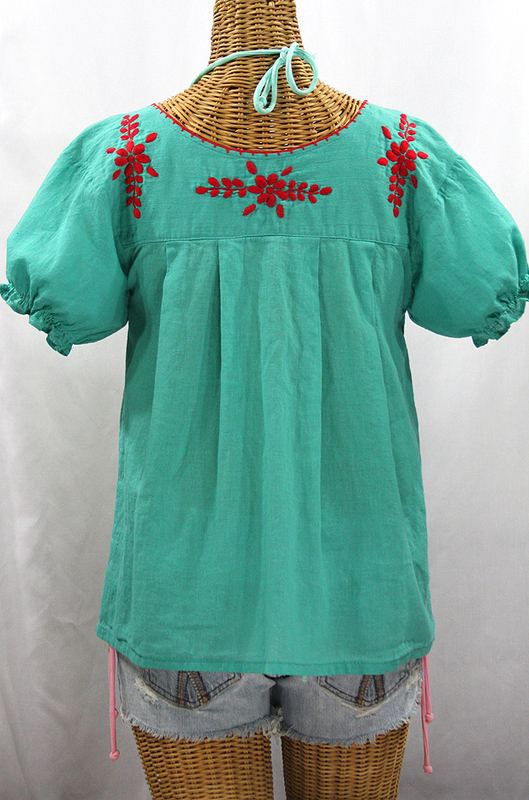 Bottom Hem (all the way around): 50"
Sleeve Length (armpit to sleeve hem): 5.5"